While the process might seem arduous, you must remember that you have the upper hand. There are a variety of selling options available, and in theory, these mortgage note buyers are competing to have you as a customer. As a note holder selecting a mortgage note buyer, your process will be different than someone looking for a traditional real estate agent. Here are a few great questions to help you in your search. 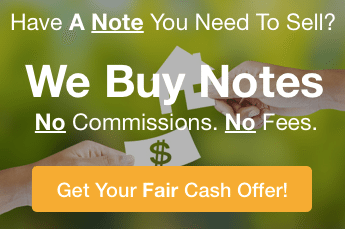 You will obviously want to know if the note buyer will buy the entire note or if he/she has partial purchase options that would better accommodate your needs. In addition, you should always ask if there will be additional fees. These can be legal fees, underwriting fees, administrative fees, etc. These fees can greatly impact your sales proceeds if they are not accounted for from the beginning. Make sure that there are not any prepayment penalties you might be charged if the real estate note is paid off early. Is There Mortgage Note Criteria That Must Be Met? Make sure you understand if there are any geographic boundaries or limitations on the type of mortgage notes, the mortgage note buyer is able to purchase. Make sure you fully understand what types of mortgage notes the note buyer will purchase. 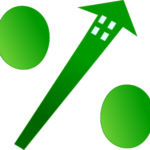 Are there minimum payer credit scores required by your mortgage note buyer? Do I have to sell the entire mortgage note or can I just sell part of the mortgage note? At times, the mortgage note buyer will prefer to just buy a part of your mortgage note. And there may be times when it really is a benefit to you to only sell a part of the note. If you decide to sell only a portion of your mortgage note…. make sure you fully understand what happens to the note (particularly your interest in the note) if there is default. Look for a mortgage note buyer who will work with you in the event of default. There are mortgage buyers who will allow you to buy the note back or make payments while the default is being cured. Does Your Company Flip The Loans After They Are Bought? Many note buying companies will sell the loan to a 3rd party after the loan has been purchased. This is not a problem if you have sold the entire note. If you have sold a part of your note there is a possibility that you will be working with a yet to be determined 3rd party. What is Your Experience With Buying Loans Like This? You want to do business with someone who is very familiar with mortgage note buying and who will put your interests in front of his/hers. When selecting a mortgage note buyer, make sure you interview him/her. And only do business with someone you trust. Check our their testimonials.